The days when offshore jurisdictions issued bank licenses with minimum requirements are long gone. Now there are strict capitalization, due diligence, relevant experience requirements as well as the need for a physical office and employees in the jurisdiction offering the licence. However, there are a number of alternative structures to a bank that can offer services such as deposit taking, payment processing, investing, brokerage and forex trading, and some options do not require a physical office platform in the jurisdiction of formation. The most popular include New Zealand or Panama Financial Services Companies, but also include options such as Offshore Brokerage Licences in Belize and other jurisdictions, Private Hedge Funds in places such as St. Lucia, BVI etc. as well as Swiss Trust Companies. Personalised Offshore Legal Services Since 1996. We care about your offshore financial success. For more than 18 years, we’ve been working diligently to serve our clients’ company formation and offshore management needs. Our primary focus is to build reliable, long-term business relationships with our offshore clients. Every one’s financial situation is unique. That’s why we specialize in providing customized tax-efficient corporate structuring, multi-jurisdictional offshore company formations and offshore legal services tailored to your specific needs. As your offshore business evolves, you can depend on Offshore-Protection.com to provide you with up-to-date expert advice and strategic offshore solutions geared to your success. Learn more. The ultimate in eliminating all reporting requirements on your corporation, in addition to asset protection, complete privacy and potential tax deferral. Find out how a Corporation or IBC owned by a Panama Foundation may be the ideal solution for you. Learn more. Nevis offers a number of attractive company formation products that give clients a wide range of international investment opportunities. E-commerce can provide you with a “portable” international business that can be operated at arms length from anywhere in the world. For tax optimization purposes, you need to set up an offshore corporation that you neither own nor control. 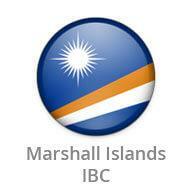 As an offshore jurisdiction, the Marshall Islands offers excellent advantages, fast incorporation, and strong asset protection packages. Learn more. Offshore alternatives and financial licenses available for payment processing, investing, brokerage, forex trading etc.... Learn more. For asset protection, tax reduction benefits and offshore investing, a professionally-managed IFS may for you. Learn more. Find offshore banking and brokerage solutions for handling your personal or business financial transactions. Quickly protect your assets. We have ready-to-go aged companies. Some also come with bank accounts already set up. Learn more.